For the second time this year, a Border Patrol agent has been charged with murdering multiple people in Texas. Both agents were hired nearly a decade ago amidst a surge in staffing that backfired on U.S. Customs and Border Protection (CBP) in many ways, resulting in Congress passing an act to improve hiring practices. However, to meet President Trump’s desire to hire 5,000 new Border Patrol agents, many in Congress have been looking to relax the hiring standards again. These serious criminal cases, however, demonstrate why that would be a mistake. The first arrest occurred in April 2018 when a Border Patrol agent was charged with killing his girlfriend and their infant. In that case, the prosecutor is seeking the death penalty for the nine-year veteran of the Border Patrol. The second and most recent incident occurred in September 2018 when a 10-year veteran of the Border Patrol was charged with killing four people over a 12-day period. He was only caught after a fifth victim escaped his custody. He is being called a “serial killer” by authorities after he confessed to the murders. Both agents were working in the Laredo Sector, an area that covers over 100,000 square miles of southwest and northeast Texas. 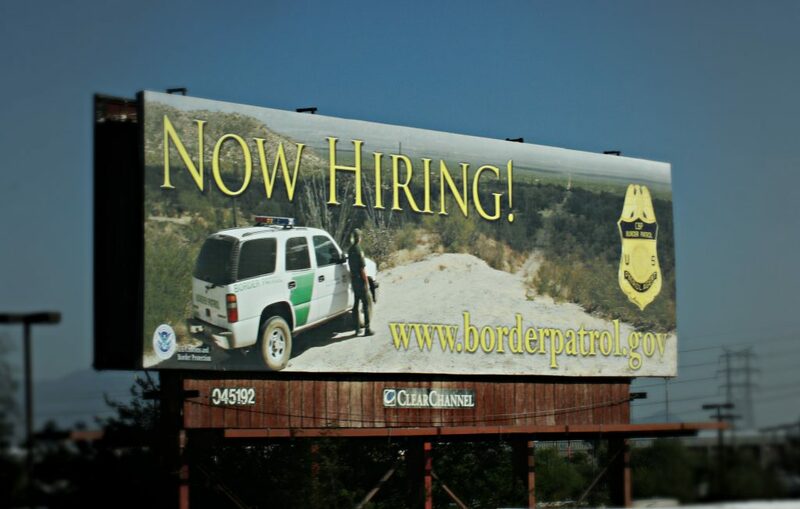 They became employed by the Border Patrol during a hiring surge that occurred from 2006 to 2009 when the agency added approximately 8,000 new agents to its ranks. Following this surge in hiring, there was a 44 percent increase in CBP misconduct, including civil rights violations and off-duty crimes like domestic violence. Between 2007 and 2012, there were also 1700 allegations of excessive use of force leveled against the agency. Additionally, compared to other federal law enforcement agencies, CBP has significantly more incidents of sexual abuse and assault. As a result of this widespread abuse, corruption, and misconduct, Congress passed the Anti-Border Corruption Act of 2010. The act added key safeguards to the hiring process, including a polygraph and cognitive exam, fingerprinting, financial disclosures, fitness tests, medical examinations, and background checks of applicants. By many accounts, the new measures help CBP hire better recruits. According to CBP, two-thirds of Border Patrol applicants who make it to the polygraph test fail the exam, helping to weed out unqualified candidates. After the administration announced its intention to hire 5,000 additional agents—a massive undertaking since the Border Patrol has been unable to fill many existing open positions—some lawmakers want to lessen the requirements. This would include creating waivers of the polygraph test for certain applicants to speed up the hiring process. The House of Representatives passed a bill in June to do just that, however the Senate is yet to act on the legislation. The recent murders in Texas should stand as an important reminder to Congress that now is not the time to cut corners in the hiring process for CBP. It will not make America safer and indeed could bring seriously dangerous people into the ranks of Border Patrol.